He is risen indeed! Over 2,000 years ago a man lived and walked the earth, known as Jesus of Nazareth. This man made some amazing claims about himself. He said he was God’s only Son. He claimed He was God himself. He taught in a way that none before him had ever taught, and he performed miracles no one had ever performed before. He earned a respected reputation, while also gaining many followers. Yet he also had his enemies. Many rejected his claims and believed him to be a false teacher; so much so that they conspired against him and eventually had him killed. This is a historical reality. The man known as Jesus of Nazareth was crucified on a Roman cross decreed by the Roman governor, Pontius Pilate, and his body was placed in a sealed tomb. However, this man Jesus did not stay in the tomb! Three days later, while under Roman guard, this God-man rose from the dead. 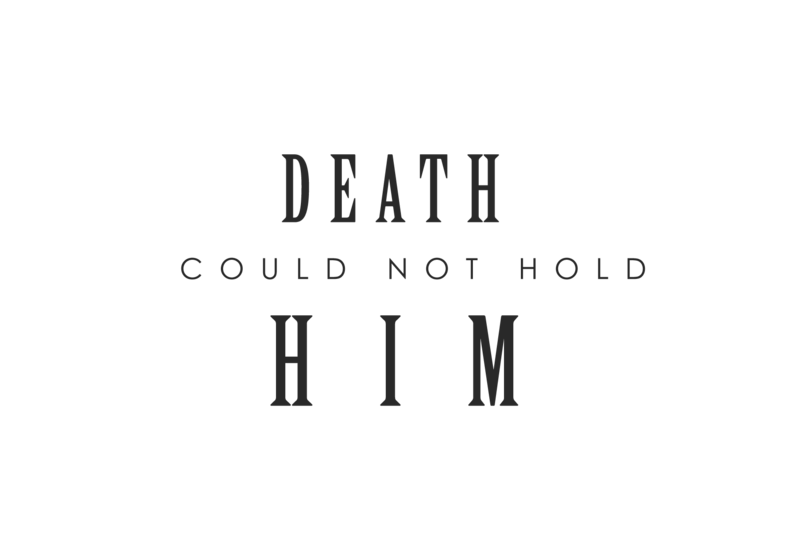 He conquered death itself. His enemies at that time could never explain what happened, and to this day, those who do not believe, still cannot explain what happened. The reality is…Jesus died and rose again! The tomb is empty and Jesus Christ is alive, and this means that those who trust in him and what he taught – they also will live. They will conquer death just as Jesus did, simply by trusting Jesus in faith as the sole means of salvation and forgiveness for their sin. On this Easter morning, we celebrate these truths. We celebrate them with gladness and joy. We celebrate them with joyful music and instruments, and by preaching this wonderful truth to all of you. On this Easter morning, you will also see evidence of this new life through the testimonies of Christ followers who are following the Lord Jesus in believer’s baptism. I pray that you are blessed through their obedience and testimony. I invite you to join with us in this celebration of Jesus Christ: his life, his death, his resurrection and his impending return. I pray you will be blessed, encouraged and challenged in your time worshipping with us this Easter morning.